Love it or loathe it, the bottom line is that you cannot escape technology. The beauty about living in a world that thrives on constant change is that there’s always something to look forward to. This applies especially to gadgets. Forget handbags and seasonal clothing, you cannot truly call yourself a hip person if you’re lacking knowledge about what’s new in the tech world. The question is, how do you stay up to date on what’s happening and what’s trending in the digital world? You can feed your curiosity through the umpteen magazines and websites that are dedicated to the same. Or, you could let us be your friendly “destination for gadgets”. It doesn’t matter if you’re looking for in-depth knowledge about how a smartphone or camera works, or if you’re a layman simply looking for easy-to-read, crisp, and easy-to-digest information on a smart TV set that you’re planning to buy; we don’t discriminate. We started the FlipTech App to inform, to educate, and to engage customers. We are the gadget store that aims to do more than just sell you what we think you need. How do we plan to do this? We have on board a team of tech experts who’ll guide you through your journey into the tech world with their comprehensive analysis on whatever queries you have. To make your experience with us as enriching and as informative as possible, we’ve partnered up with digit, India’s most read tech magazine. Join us on this journey and we promise you, we’ve got a whole lot of surprises coming your way. We have webisodes with tech experts coming up soon, which is a first in online retail shopping history. Trust us, you’re going to love them as much as we’re going to enjoy bringing them to you. Spotlight – Want first-hand information on what the latest technology launches are? We’ve got you covered in our Spotlight section of the FlipTech App. Not just this, we give you a thorough and exclusive look at what’s special about each product launch and why you need it in your life. So if you’re on the lookout for a smartphone that’s doing the buzz in the tech world, you know which section to look out for. Crave – On the edge about what gear to pack for your upcoming outdoor adventure? Let us help you figure things out. In the Crave section of the FlipTech app, we aim to understand you better and make your life simple by listing out trends in smart devices that you might like or need. For instance, we have a selection of smartwatches and smart bands lined up for those of you who’ve resolved to getting fit and need reliable companions for the same. Not limiting ourself to the outdoors, we also have a section dedicated for your back-to-school or back-to-college needs. Then of course, we have a list of the smartphones laid out in different categories based on distinctions we think you’ll appreciate – we have categories such as Top 5 smartphones under 10000 with fingertip sensors which help you with sourcing out the gadgets that you need in the simplest way possible. No fuss, no mess. Hands on – We can promise you a lot of things and claim that a certain gadget is the best that you’ll ever lay hands on. What’s important is, do you trust our claims and do you believe every word that we say? Probably not. That’s why we have the Hands on section. This is where we work on gaining your trust and building your faith in us. In this section, we give you a detailed report on devices and gadgets based on our hands-on experience with their features. Ever wondered why the camera in some smartphones is better than some others? It turns out that things as simple as pixel size and screen brightness make all the difference. Be a part of our hands-on journey of our digital store and we can both discover an interactive way to manoeuvre our way through the ever-evolving world of technology. Deep Dive – Once you set your foot in the tech world, you’ll realise that it’s not as intimidating as it seems. Rather, it’s a fascinating one. Once you have your basics covered, you’ll want in-depth knowledge of what makes a smart gadget the way it is. 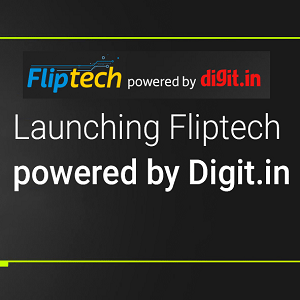 To take you through this journey of in-depth analysis is the FlipTech App’s Deep Dive section. Here we discuss things such as what an AMOLED display is or how Force Touch works. As promised, all information that we offer aims to strike a fine balance between being thorough and being easy-to-digest. If your relationship with gadgets has not been a friendly one, you can start now. Trending – In this part of the FlipTech App, we bring you our top picks of what’s trending in the tech world. From the latest trends in photography and the cameras that help work their magic on these pictures, to the trending TV sets that have been finding their way into homes, this is your place for the latest trends in technology. Pick of the week – Want a last-minute birthday gift for a friend? Check out our Pick of the week section. We only feature the best so you are in good hands. You can interact with us on both the Flipkart app as well as through your desktop. Check us out, take a look at the hot picks in gadgets that we have lined up for you, and don’t be shy about sending in your queries and getting interactive with us. Buying gadgets online should be a fun experience, and we want you to shop knowing exactly what you’re paying for. And as long as you’re going to be shopping with us why not have some fun and discover the tech world, right?